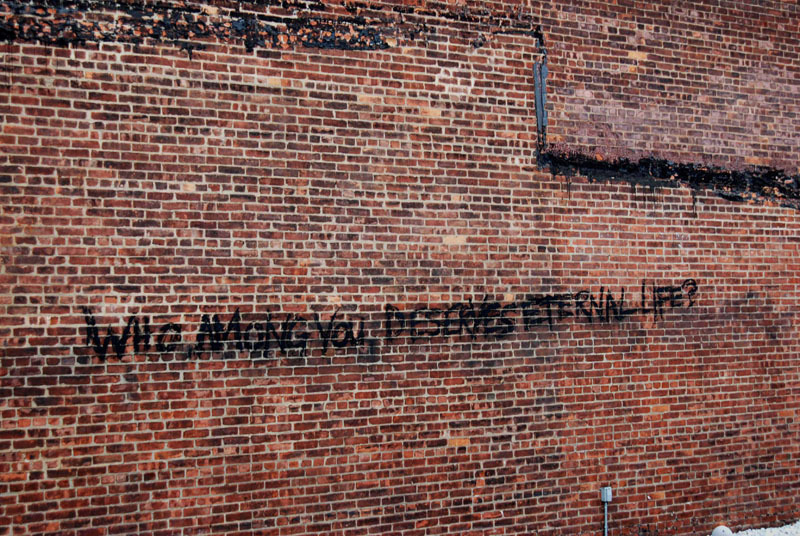 WHO AMONG YOU DESERVES ETERNAL LIFE? 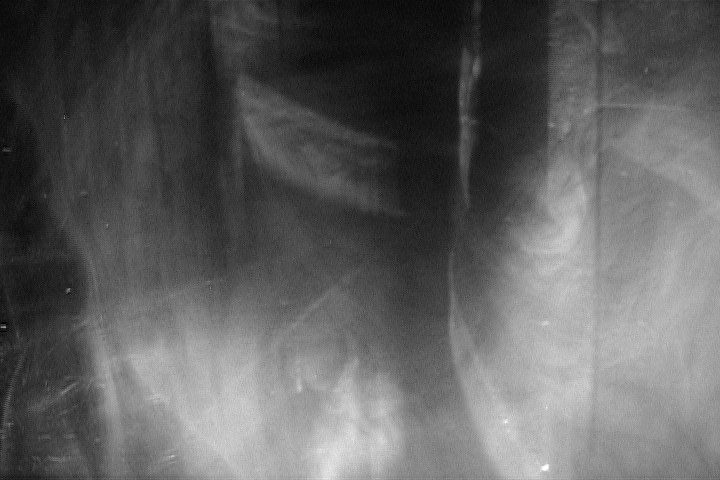 Who, Among You, Deserves Eternal Life? 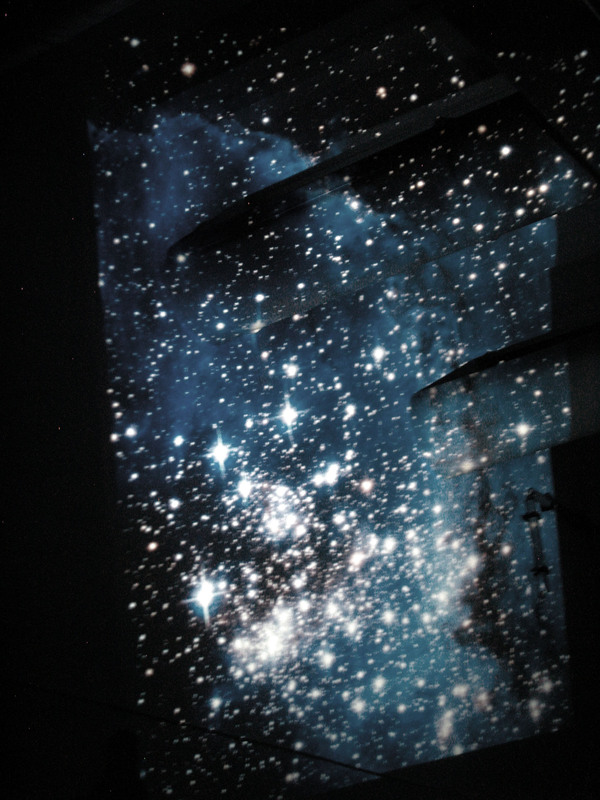 is conceived as an ongoing multi-phase project whose component parts can be exhibited separately or all at once. 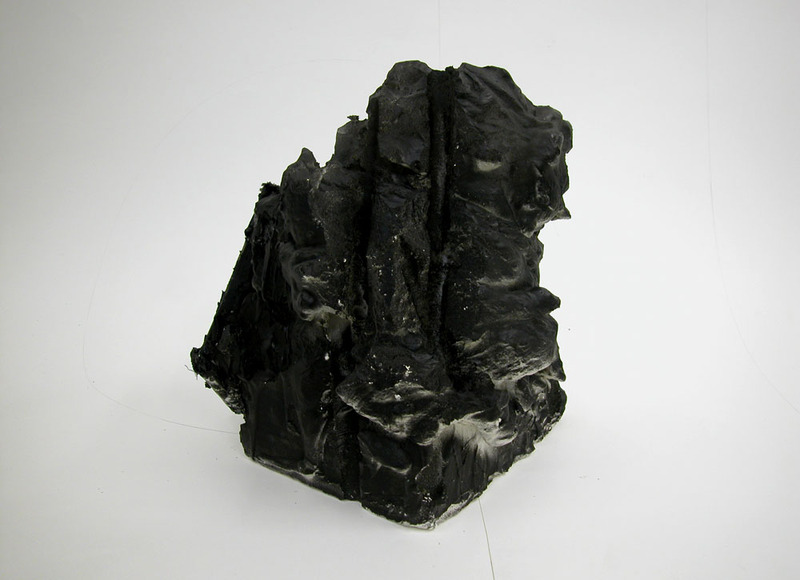 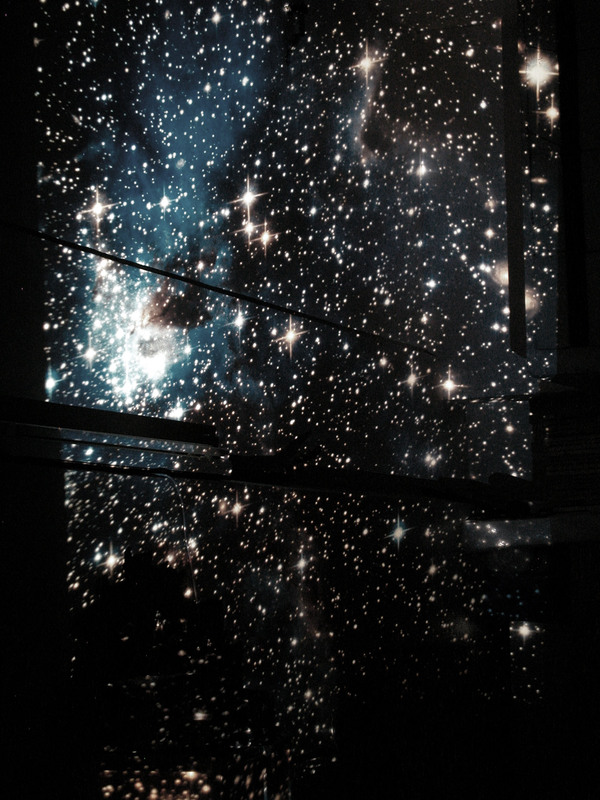 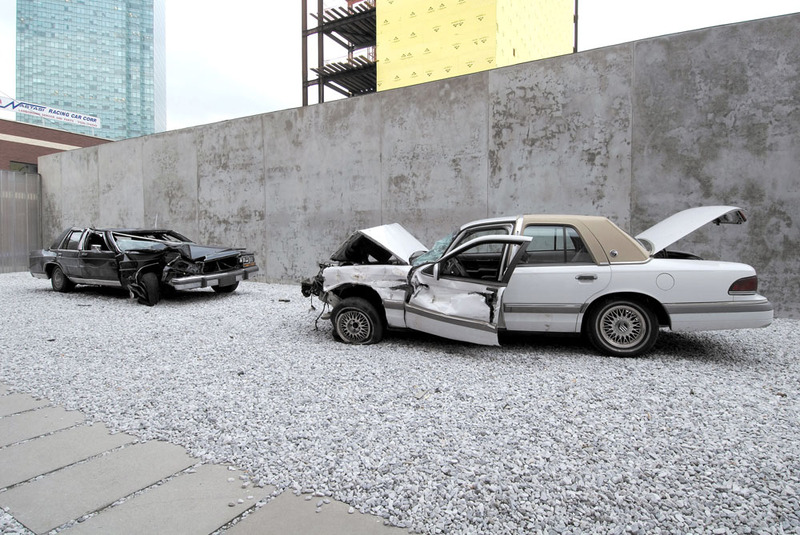 It consists of the installation of an actual found car crash (between black and white cars), original "spontaneous" sculptures (cast in bronze), and over-sized plot prints of deep space images projected onto various interior architectural surfaces. 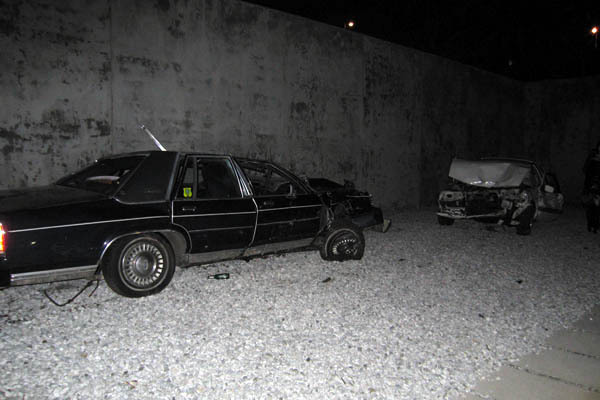 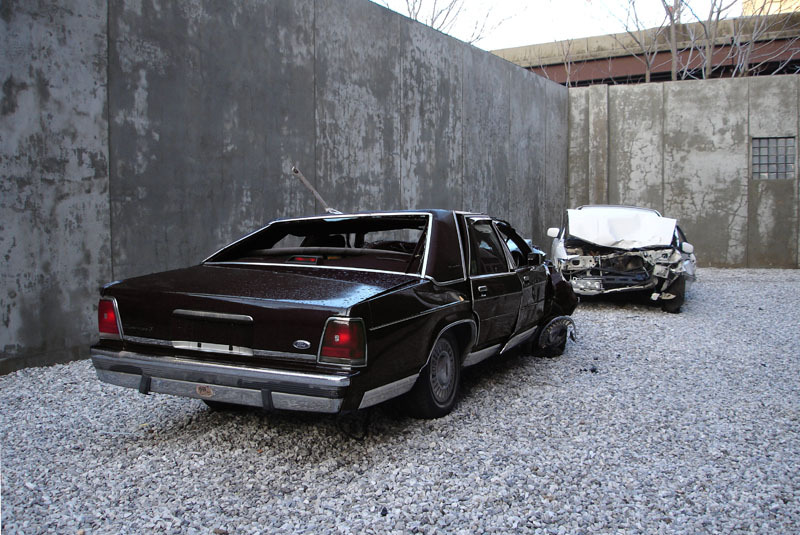 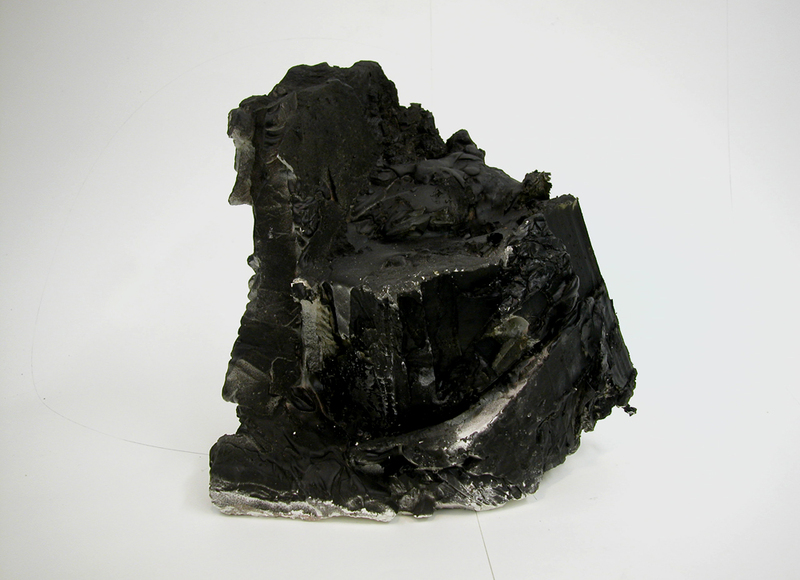 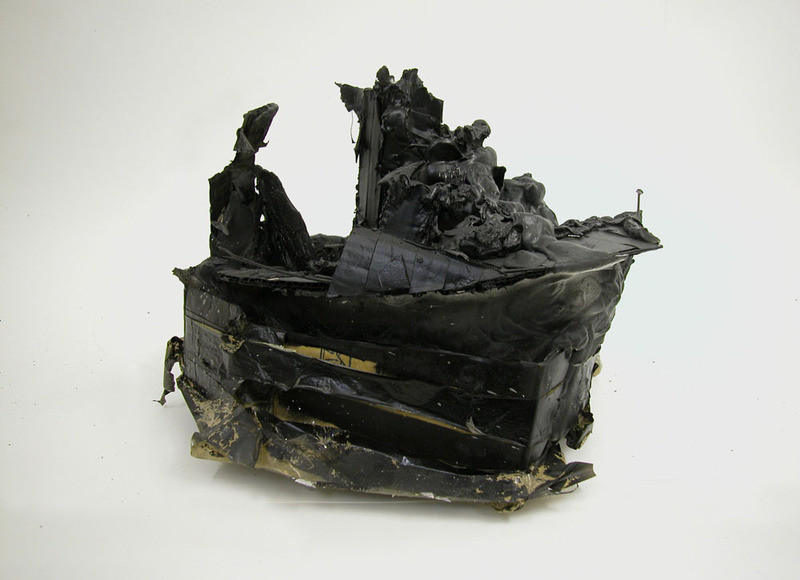 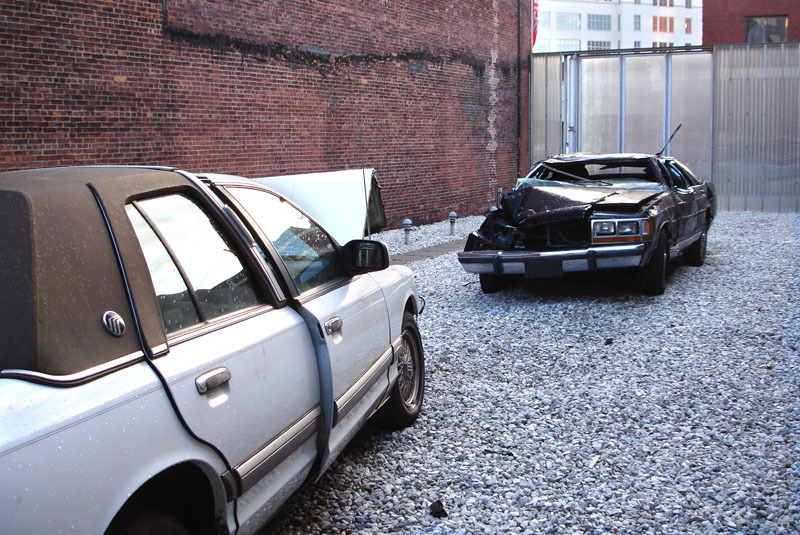 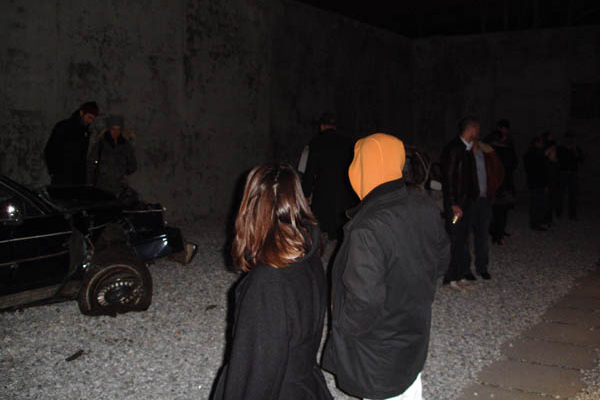 The major component, the found car crash, was exhibited by itself in the sculpture courtyard of SculptureCenter in NYC. 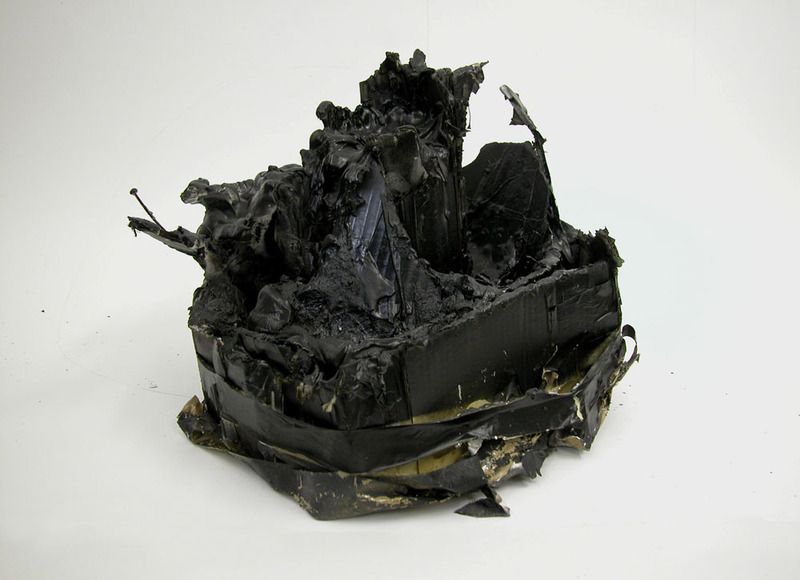 The title of the piece originates from a phrase in Michel Houellebecq's, The Possibility of an Island (2005), a novel about the evolution of humanity through reincarnation, making eternal life possible for some but not for all. 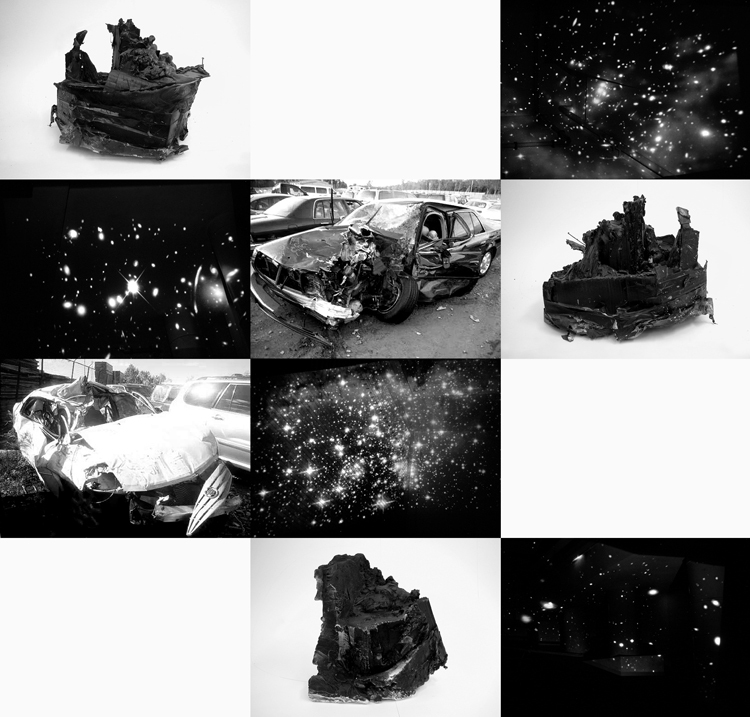 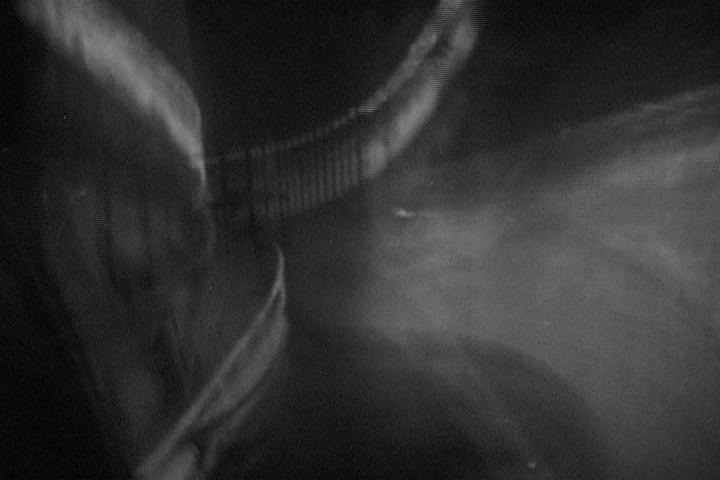 Envisioned as a riff on this sentence, the project explores the space between acute trauma and timeless transcendence, setting up a variety of internal oppositions that are played out among its various components: black/white, terrestrial/celestial, real/fictional, original/appropriation, trauma/transcendence, destruction/creation, etc.